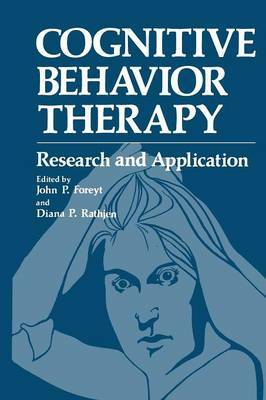 The recent development of cognitive theories and therapies within the ranks of behavior therapy has to be classified as one of the more intriguing developments in contemporary clinical psychology. After all, "behaviorists" have long been stereotyped as cold, hard-headed environmentalists who have been anything but subtle in their at- tacks on mentalism. To those who have accepted such a stereotype, a "cognitive behavior therapist" might sound like a self-contradic- tory creature, one steeped in two separate and incompatible psy- chological traditions. How can one be both "cognitive" and "be- havioral"? This is only one of the issues addressed in the present volume, which represents a valuable contribution toward both the- oretical and empirical refinements in the area. Here one can read how the behavioristic emphases on assessment and experi- mentation can be fruitfully integrated with therapeutic procedures designed to alter patterns of human distress. Many of those procedures involve specific focus on a client's thoughts and fantasies. This book represents a strong and timely overview of an excit- ing new area, and its contributors include some of the most ener- getic researchers in the field. A theme of cautious optimism is blended with a commitment to empirical scrutiny, and there is an admirable recognition of the important difference between inferred therapeutic process and operationally specified therapeutic proce- dure.